Adobe’s Shift to the Cloud: Is This the Start of a Trend? Adobe, the leading software company targeting creative professionals, is exiting the shrink-wrap software business in favor of subscription-based software and online “cloud” services. While perhaps painful at first, the business model change will be ultimately beneficial for consumers and Adobe alike, and other software companies are likely to follow, say experts at Wharton. On May 6, Adobe said it would stop developing its flagship Creative Suite, which includes applications such as Photoshop, in favor of Creative Cloud, a subscription-based service for software and updates. The company had been transitioning from a traditional software business model, which revolves around one-time product licensing, to subscription-based services, but decided to take a big plunge by removing the option for traditional licensing for new versions of the its popular creative tools. The move is an acknowledgement that software is rapidly transitioning toward collaboration, subscriptions and use on multiple platforms such as Apple’s iOS, Google’s Android, Mac OS and Microsoft’s Windows. Wharton marketing professor Pinar Yildirim says that Adobe’s move is a positive one for consumers, who are increasingly mobile and don’t want to be tethered to a single desktop application. Customers also will benefit from regular updates and gain access to more features, she notes. Reaction to Adobe’s move was mixed on Twitter. Many customers who bought the firm’s most recent Creative Suite 6 didn’t like the idea of paying a subscription for additional services and new features. Others cheered Adobe for making a big move. On cue, SAP, one of the largest enterprise software companies in the world, announced on Tuesday that it plans to launch a cloud service for its fast-growing HANA analytics software. SAP, like its rival Oracle, has been moving away from a one-time licensing model and both firms have been acquiring cloud and software-as-a-service companies at a quick pace: SAP has acquired SuccessFactors and Ariba, while Oracle has acquired Taleo, RightNow and other cloud companies. In part, Oracle and SAP are buying companies to thwart emerging rivals like Salesforce.com and Workday. Wadhwani, speaking at a meeting with members of the press, said that Adobe “thought long and hard about this decision,” but noted that customers will be able to get enhancements on an ongoing basis, have access to the full range of Adobe’s creative tools and interact online with a community of peers. Adobe decided that the potential short-term revenue hit is worth the long-term gains. Switching to a model where customers pay recurring fees over time reduces the revenue received up front, but allows the company to better predict future revenue and earnings. Adobe’s pricing highlights how the revenue equation will change. Access to Adobe’s Creative Cloud is $49.99 a month for all applications, $19.99 a month for a single application and $29.99 a month for existing Creative Suite customers. Adobe also has student and teacher editions and pricing plans for a team of users. Most plans are annual commitments billed monthly, so Adobe has predictable recurring revenue. For comparison, Adobe’s Creative Suite 6 costs $1,299 to $2,599, depending on the edition. Analysts, however, give Adobe credit for recognizing the switch to cloud computing and being decisive with a business model change. Adobe told analysts that it will have four million Creative Cloud users by 2015, and analysts such as Peter Goldmacher of Cowen and Co. agree that goal is attainable. In a research note, Goldmacher wrote that “this change in direction will catch on faster than most expect.” He added that Adobe’s installed base of 12.8 million Creative Suite users gives the firm plenty of customers to transition to a subscription model. Adobe estimates that the total market for creative professionals is about eight million, up from 6.7 million two years ago. 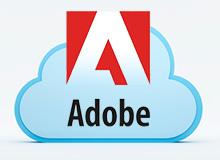 If support for Adobe’s cloud transition sticks, other software vendors may quickly adapt. “As we are moving more into cloud-based offerings, similar models are likely to follow,” says Yildirim.